hydraulic drum brakes. Wheelbase: 114.25 in. The 300 Sc is highly desirable and considered by many to be the “ultimate” 300. 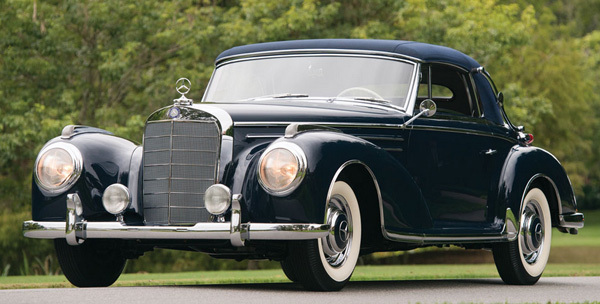 It was introduced in 1955 with a 300 SL engine that had Bosch mechanical fuel injection, and was good for a factory-rated 175 horsepower, although the actual figure was nearer 200. The car also featured a new “low-pivot” swing axle rear suspension, which was yet another feature that had been developed and perfected on the 300 SL. The combination of the 300’s advanced oval tubular chassis, suspension, and powerful engine produced a powerful grand tourer, one that was ideal for long-distance travel throughout Europe.